OVERLAND PARK, Kansas - January 12, 2018 - Bushnell, the industry leader in trail cameras, announces an enhanced level of cellular performance with the new Impulse cellular trail camera. The new Bushnell Impulse cellular trail camera is the result of innovative and relentless engineering that delivers cellular images quicker and better than ever before. It features 20MP HD Images and true 1080p HD video. 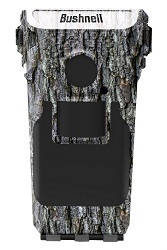 Combined with a six-month battery life, 0.2-second trigger speed and No Glow flash that reaches 100 feet, the Impulse is the high-performance cellular trail camera consumers have been waiting for. Impulse is available with AT&T and Verizon options so consumers can pick the one that offers the best coverage in their area. Yet, either option will deliver photos to devices using any cellular provider. Active GPS tracks the cameras whereabouts at all times, deterring theft and allowing hunters to quickly locate their cameras. Attendees of the 2018 ATA Show in Indianapolis can see the new Impulse at the Bushnell Booth #1811.